Mail and Phone package! We still have 416 numbers! 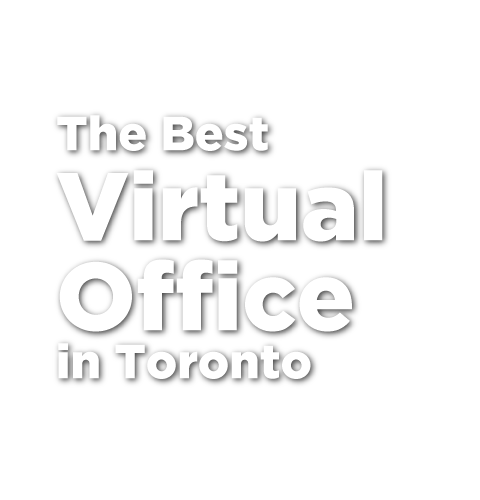 The only virtual office that comes with real office space! Pristine space, overlooking the Yonge and Sheppard intersection. Few spaces left. Receive mail at our locations. This is like a mailbox with the added benefit of accepting courier deliveries, packages, and other sensitive items not suitable for a mailbox. Mail Forwarding; Mail Forwarding to multiple addresses; Mail Scanning; Receiving Mail under multiple company names; and more. Keep your business address and personal address separate to ensure safety and privacy. Printing your home address on marketing materials, like emails, business cards, and flyers exposes your home and undermines your business. Give yourself the flexibility of meeting your clients wherever it is more convenient. Our packages give you interchangeable access to our locations. Allow our trained front end administration staff to receive your deliveries and clients to ensure a professional and reliable experience for your business. Dedicated, professional, front-end administration staff that learns your business and learns about your clients. Receive a business phone number (416 numbers are still available) and optionally enable it to receive incoming faxes. Get your phone calls answered and forwarded to wherever you are. This ensures that you won't miss any more important calls. Our front-end administration staff will answer your incoming phone calls and direct them to you as per your instructions. This can be to a voicemail, to a cellphone, or any other number. Gain access to our offices - either by using a flexible monthly plan to access a shared office, or by getting a dedicated, private office for yourself and your team. Furnished offices are available as part of a shared office plans - bookable in half hour increments, or as dedicated private offices. Use our professional meeting rooms and boardooms for presentations and confidential meetings. Choose from 13 rooms at 3 locations. More rooms and locations arriving soon. Use our professional audio conferencing equipment, our presentation technology, or our industrial printer. There is no additional charge to use this equipment (except printing costs, and set up costs if you require us to set you up). Rooms come pre-equipped with certain types of technology. If you need some type of technology that is not already in that room, a set up charge will be required. Receive mail at our locations and use one of our addresses as the registration address for your business. Obtain a local (416) business phone number and have our office admins handle your incoming phone calls. Combine Mail and Phone packages to obtain a seamless presence for your business. Get 12 hours free access to a myriad of day offices, meetings rooms, and boardrooms at our 3 locations. Combine the Virtual Office with the Boardrooms package and get a full presence solution for your business. Brand new window space overlooking the Yonge and Sheppard intersection. Includes all Office Clouds services and additionally gain a workspace for up to 2 days a week. Quiet, private offices at the heart of the financial center. This building is just one block north of King Street and provides a relaxing and quiet alternative to the noisy towers. Visit us to see for yourself. The corner of Bay and Bloor is one of Toronto's most lively locations. Working at this location has benefits that extend far beyond work. Fine dining, exquisite shopping and TIFF are just around the corner. Conveniently located at the corner of Yonge and Sheppard this location is truly central to the GTA. Easily accessible by car, TTC, or GO Transit this location provides businesses with a sense of connectivity the downtown locations can't.